Note: Discover Newport is not able to ship requested materials; items available for pick up only. Please allow a 5 day lead time to gather fulfillment. Materials can be picked up Monday – Friday between 9am and 5pm on the first floor of the Visitors Center behind the Ticket Desk window. A half hour of free parking in the Visitors Center public garage is available if you have your parking ticket validated inside the center. 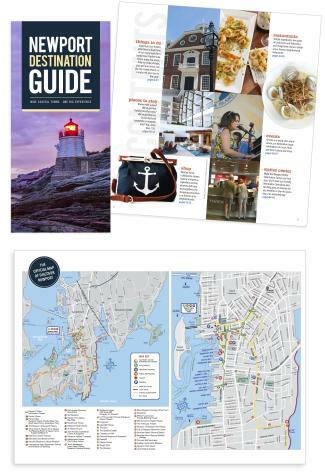 Please note that any additional requests beyond the map and tourist magazine will need to be obtained on own through the individual companies as Discover Newport keeps only a limited quantity in-house.